Probably my favourite photo of the year, this picture was taken on the edge of the Shingles Bank just West of the Solent. 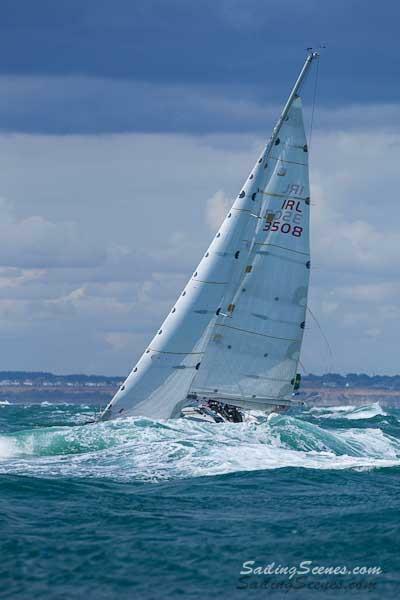 Barry Hurley and Andy Boyle sailing the Rolex Fastnet Race 2011 double handed on Dinah. Some other shots taken around the same time show the washing-machine type conditions caused by strong positive tide over shallow water against the direction of the breeze. 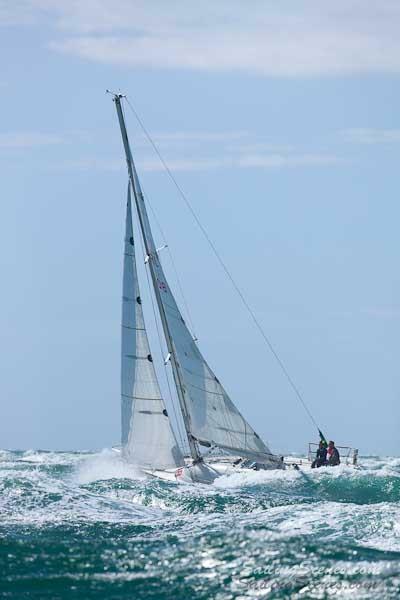 We got knocked around so much the reefing line in the main snapped soon afterwards. 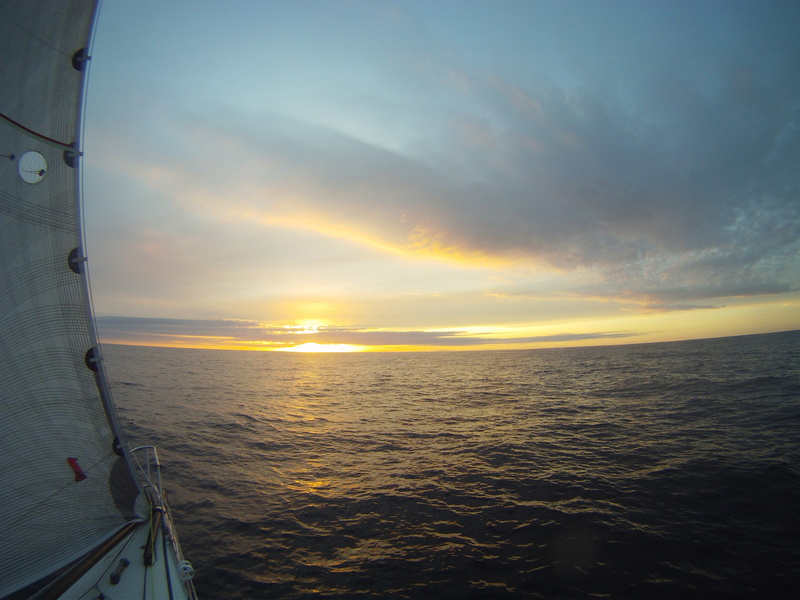 Early in the race we had bad weather crossing Georges Channel (the same conditions in which Rambler dramatically capsized at the rock), but by the next evening we were in perfect conditions making directly for Fastnet Rock, sailing into an amazing sunset. 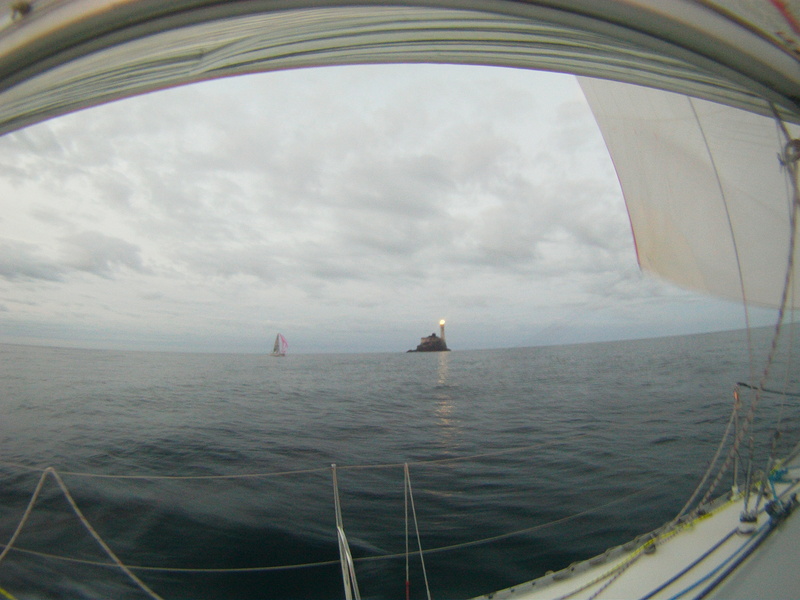 We rounded the rock in light airs well placed within the fleet. The leg to Bishops Rock was to be a straight line drag race. 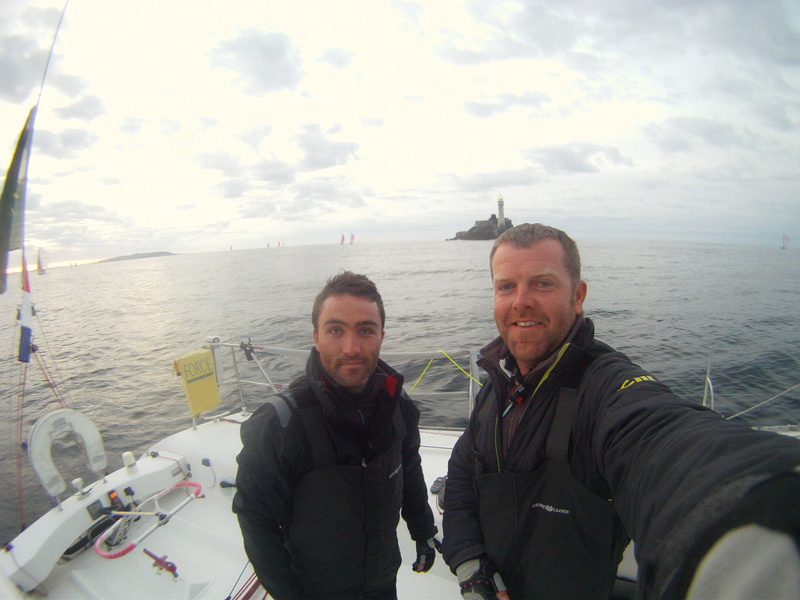 Myself and Andy got a lot of rest on that leg, knowing the light airs approach to the finish line would be tricky and would need our full attention. 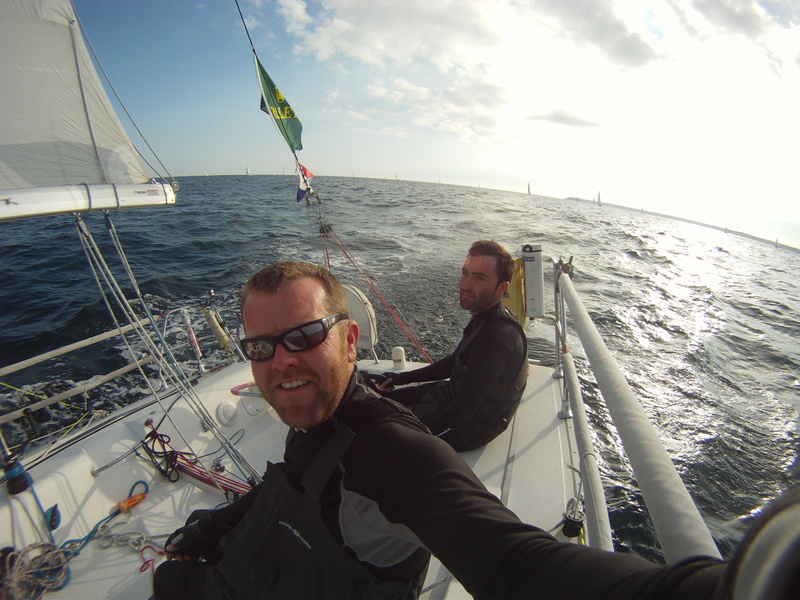 As predicted there were very light airs approaching the finish. 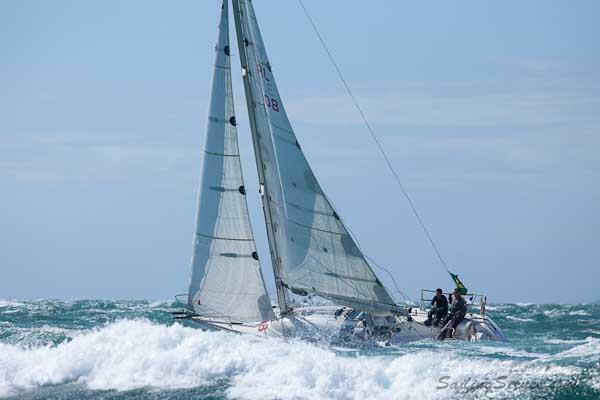 Eventually the breeze filled in, bringing over 140 boats to Plymouth at the same time, regardless of how well any individual boat had performed in the five days of the race before that. 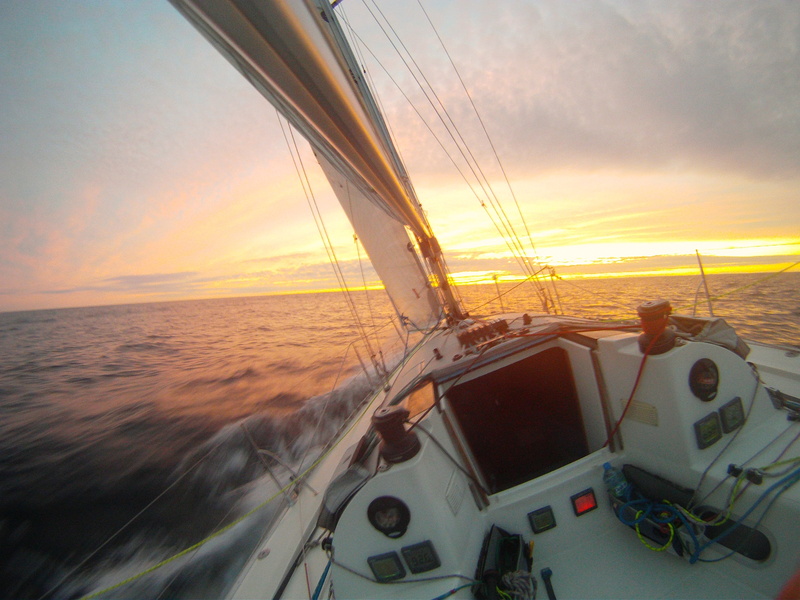 In the photo below, you can see the horizon full of boats. Not a very normal sight five days into a race! Since there were over 130 finishers within one hour, effectively the boat with the lowest handicap won. Dinah didn’t feature in the results, but the event was amazing for many reasons. Thanks again to everybody who made it possible, and well done to Barry & Andy. You are currently browsing the Dinah website archives for April, 2012.